Learning how to perform first aid takes just a few short hours, but it can make all the difference during times of crisis. At the American Red Cross, we offer best-in-class in-person, online and blended learning first aid classes that can help you administer assistance to injured children and adults until medical professionals arrive. However, like many things, if you don't use your skills frequently, they're often easy to forget. That's why, when you take our first aid certification classes, you'll also receive free online access to our first aid refreshers. Adult First Aid - Find information on performing first aid on teens and adults. This quick guide. gives you details on what to do when faced with an emergency – and provides you with simple-to-follow steps designed to help you deliver care in a wide range of scenarios. Child & Baby First Aid - Children and babies need specialized emergency care. Find out how to safely perform first aid on even the youngest among us. 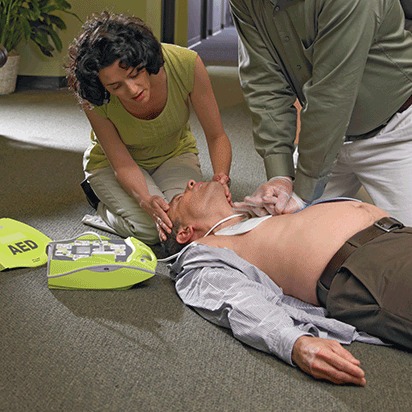 First Aid Recertification - If you've already learned to perform first aid but need to renew your certification, you can do so in an abbreviated class that allows you stay up to date on the latest techniques, and sharpen your skills.